Welcome to Fei Huang MD OB/GYN Clinic, conveniently located at Rockville, MD. Here, our medical professionals know that woman health is not just about annual Gynecological exams or prenatal visits: it’s about having it done properly and performing the procedures with comprehensive care for women and parent-to-be. We offer a soothing environment and a scheduling system that never keeps you waiting long. By combining the latest technology with traditional techniques, we give you the best care at Rockville. Dr. Fei Huang is an accomplished OB-GYN working for the people of Annandale, VA. She provides her services at Misuk Kim MD OB-GYN PLC. Dr. Huang received her medical degree from Capital Medical University. She is a member of the American Congress of Obstetricians and Gynecologists and is affiliated with Inova Fairfax Hospital in Falls Church, VA. She also earned her master’s in basic medical science from New York Medical College. 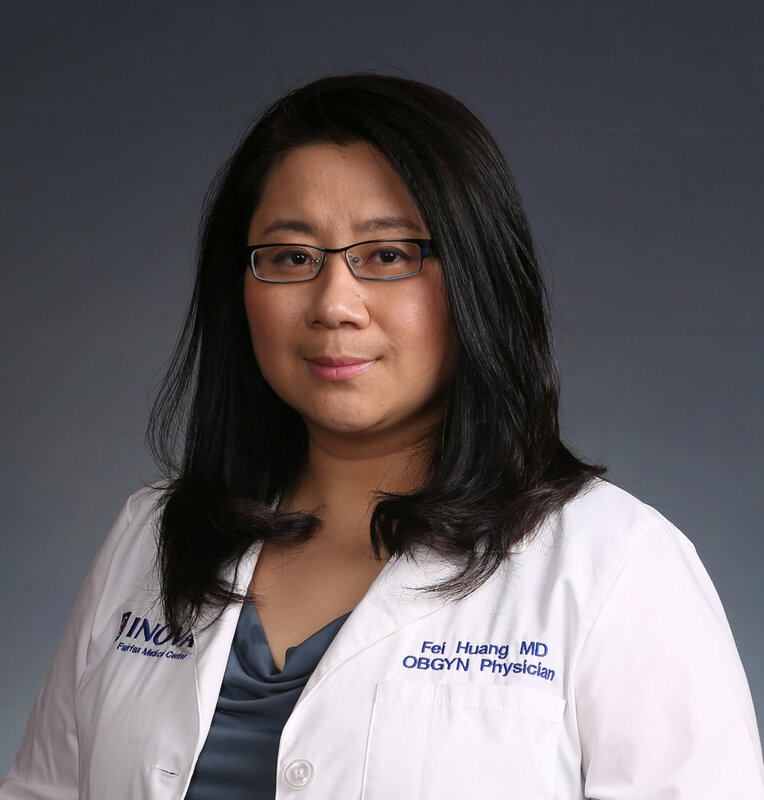 Dr. Huang completed her internship at Flushing Hospital Medical Center and residency in obstetrics and gynecology at Inova Fairfax Hospital. She is well-versed in English and Chinese (Mandarin). This makes her widely accessible to patients from a variety of cultural backgrounds. She shows a keen interest in treating patients with abdominal pain, ovarian cyst(s), painful menstruation/dysmenorrhea, and pelvic inflammatory disease/endometritis.